This year, Robbie and I were completely indulgent and went on a two week vacation over the holidays. We lovingly called it the "Ernst Family Christmas Vacation" (EFCV). 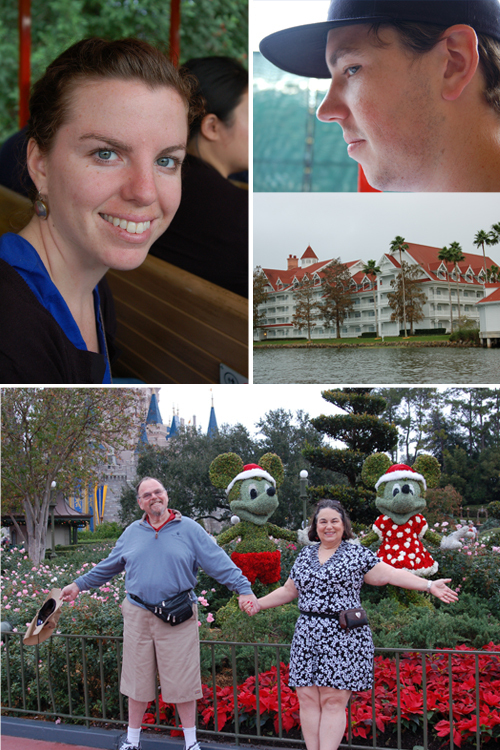 We left early Christmas morning (with Robbie's parents in tow) and spent our first week in Disney World, Orlando, FL. I had never been to Disney World, so I was unsure of what to expect. I realized as soon as we landed and boarded the Disney shuttle, that Disney nails it no matter where they are. The spirit of the people, the attention to detail, and the overall atmosphere is just as special 3,000 miles away. 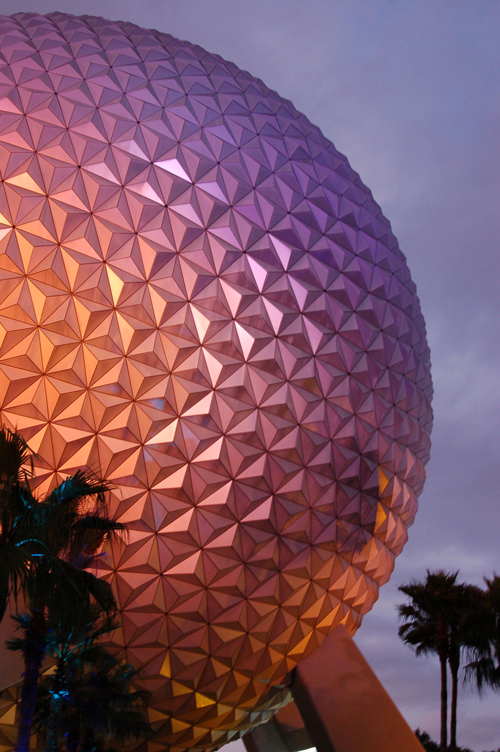 There are four parks within the Disney property: The Magic Kingdom, Epcot, Animal Kingdom, and Hollywood Studies. Disney has an amazing transportation system between all of their parks and hotels, so we were able to get around hassle-free and at no additional cost. We used the monorail, water taxi, or shuttle to get to the different parks, all of which continued to run after the parks closed. The Magic Kingdom is most similar to Disneyland in Anaheim. The overall size is bigger, but it is full of similar lands, rides, and shows. Even amongst the similarities, you can spot differences on the rides and in theme areas. For example, there is a New Orleans Square in Anaheim, but not in Orlando. Instead, Disney World has Liberty Square, with a replica Liberty Bell and the Hall of Presidents. 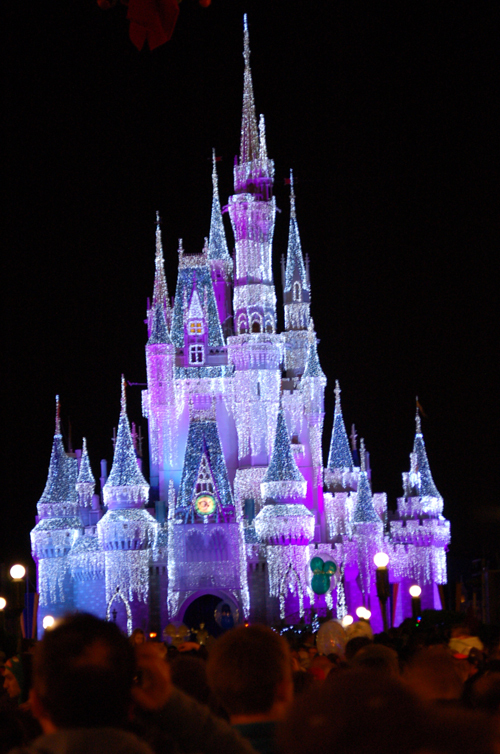 The Magic Kingdom was my favorite of all the parks. I'm not sure if it was because it is the most similar to one of my favorite places (Disneyland), but it was the one I wanted to go to every day. I enjoyed walking around, eating sweet treats (churros and ice cream were my top choices), and listening to the Christmas carols playing throughout the park (Disney leaves all of their Christmas directions up through the New Year, so it was nice to be able to enjoy them after a hectic holiday). Walt Disney loved innovation and was inspired by technology. He wanted to create a place for cutting edge technology to be born and Epcot was a park designed to make his dream become a reality. There are rides and attractions dedicated to space travel, energy consumption, and vehicle test tracks. The trouble with creating an entire park in tribute to technology is that technology moves so quickly that it is nearly impossible to stay current. Disney seems to realize this problem and works around it. For instance, we rode an outdated river ride that finished by going through a state of the art farming facility. By combing the two, you don't have to completely tear down and rebuild the outdated version. In addition to technology, Epcot is also home to the World Showcase. The World Showcase is a showcase of 11 countries and represents the culture and cuisine of each place. It was fun to see how Disney represented each place, including the United States and Canada. The Animal Kingdom is by far the largest park in all of Disney World. It sprawls out over hundreds of acres and seems to have something for every member of the family. A part of the reason why it is so large is because it has a wild animal park on its grounds. Guests are able to go on "safari" and see the various animals throughout the park. We saw lions, rhinos, elephants, crocodiles, giraffes, etc. I was surprised by how many animals we were able to see while out in our jeep. I thought Disney did a great job with all of the details in the Animal Kingdom. The intentional thought that was put into each aspect of the park was apparent. Each detail was accounted for, including the flags hanging from shop to shop. There is also a tree of life that sits in the center of the park and has hundreds of animals carved into its roots and branches. It is a fake tree (or else it would be dead from all of the carvings) and can be seen from just about anywhere in the park. I loved the excitement of discovering all of the fine details. This is a park we just didn't get to spend enough time in. We mis-managed our week just a bit, and there was more we wanted see than we anticipated. 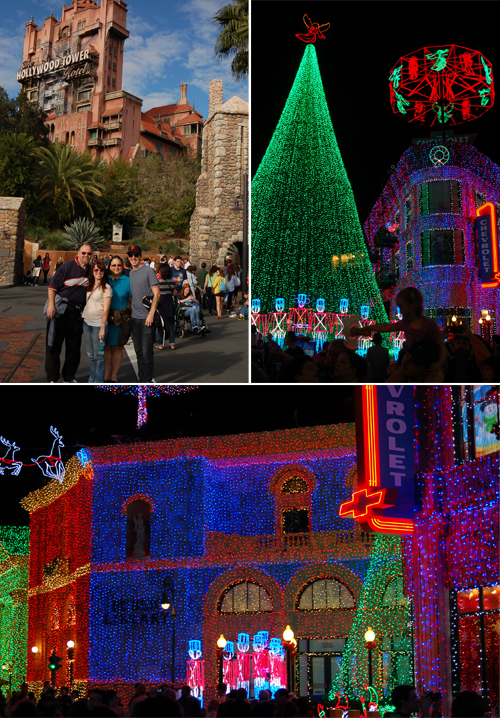 The three major attractions we were able to enjoy were: Tower of Terror, Fantasmic!, and Osborne Family Lights. The Tower of Terror is exhilarating and surprises me every time. We were able to talk my father-in-law into joining us, and its fun to see your parents get frightened. Robbie and I really enjoyed seeing the Osborne Family lights. It was incredible to walk through a street with so many Christmas lights. It was so Christmasy and fun! We were also able to see a showing of Fantasmic!, which is always so fun. I mean, who doesn't want to defeat a nightmare?! Overall, Disney World was more than I could have imagined. Disney does such a great job of making guests feel as though they are in a magical place. I was able to jump right into feeling pampered and forget my work worries, personal deadlines, and the chaos of life, and that is the most important part of vacation! Have you been to Disney World? If so, what was your favorite park?